I adapted this recipe from an old Cooking Light recipe. I love it but made a few changes. It's my go-to recipe. It's a great recipe for using up left over chicken. My whole family will eat it, too! Total Time: About 10-15 minutes assembling. 10 minutes to bake. 2 1/2 cup shredded, roasted chicken (I use leftovers from split chicken breasts, whole chicken, etc). *The original recipe calls for queso fresco, but I rarely have that on hand. Spread 1/4 cup beans down center of tortilla. 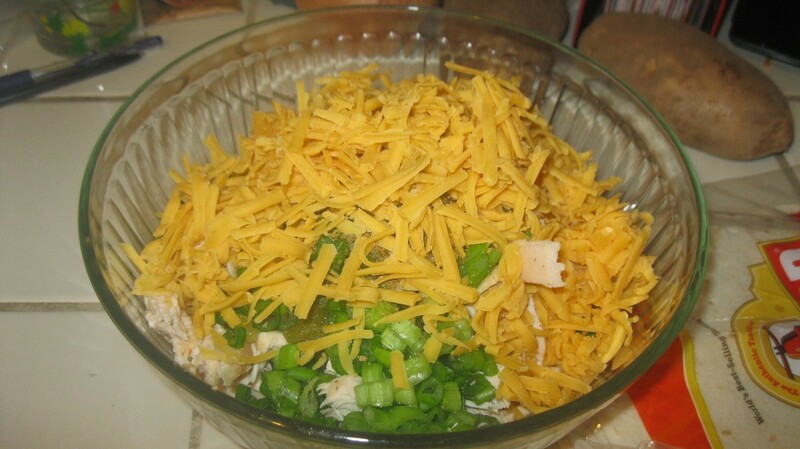 Top with 3/4 cup chicken mixture. Roll up like a burrito. 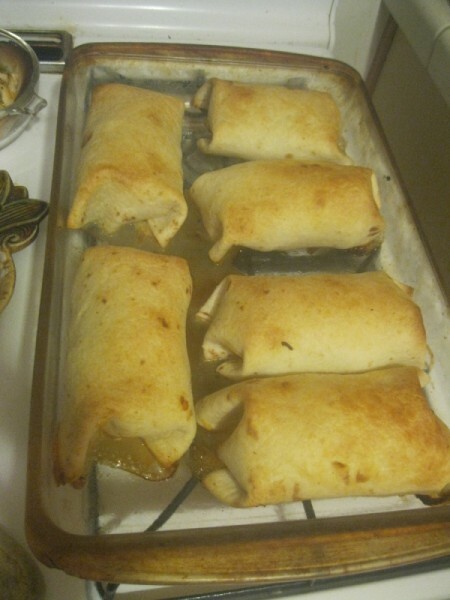 Place rolls seam down on a large baking sheet coated with cooking spray or olive oil. 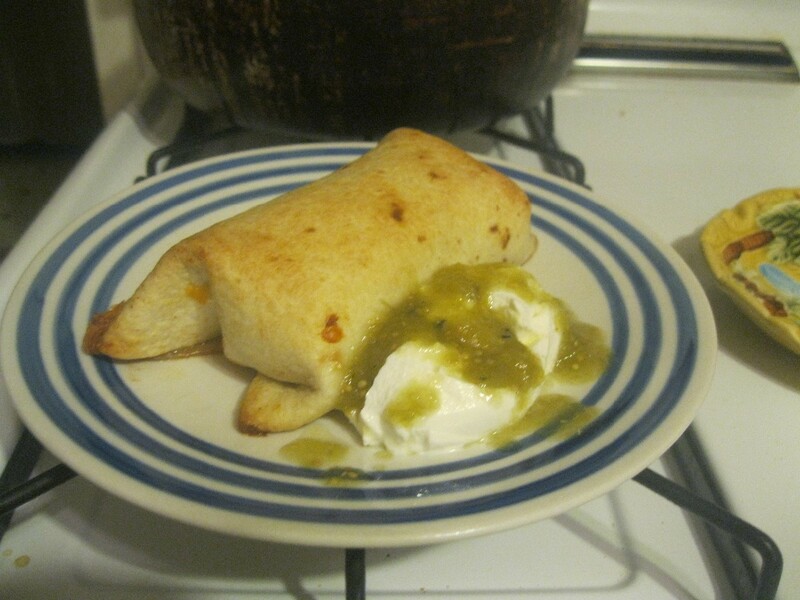 The original recipe says to coat the chimichangas with cooking spray. 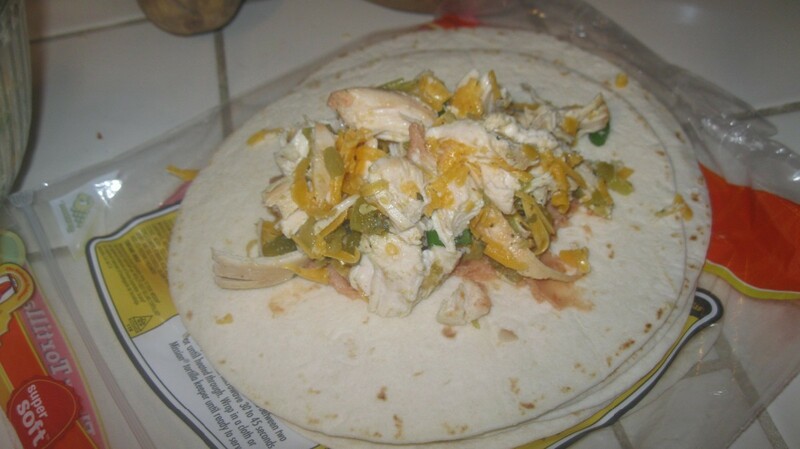 I prefer to use my pastry brush and brush some olive oil all over the tortilla. But, either way works! Bake at 500 degrees F for 7 minutes, or until brown and crispy. Serve with salsa verde and sour cream, or however you like it! I copied this recipe so I can make it for my family. Mexican food is one of our favorites. I believe this will make a good freezer meal also.